For all you gossip girls and fashionistas, why not enjoy a little fashion and Hollywood gossip while you visit. Go on, we won’t tell anyone. 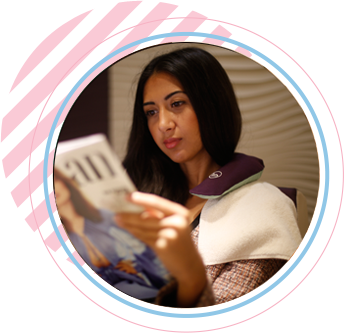 Many of our lovely ladies see their TNS spa visit as a great opportunity to catch up on the latest trends and celebrity news. We have the latest editions of all the best local and international magazines to leaf through, and Fashion TV on television screens dotted around our spas. And free WIFI of course, so you can check emails and browse the internet and social media. Why not send a little Tweet about your TNS visit to make your friends jealous. All in the wonderful ambiance of our spas, enhanced with our relaxing soundtracks of carefully selected music to make you feel right at home.